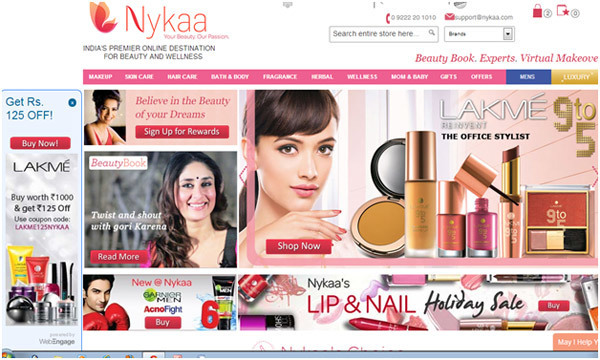 Nykaa.com is a premium online shopping site, which aims to fulfill all your shopping needs. They feature more than 200 brands with over 2000 products including makeup, bath and body care products, beauty accessories and luxury products for men and women. Their products are genuine and 100% authentic. In nykaa.com, you will find a wide range of accessories ranging from makeup, skin care products, nail care, fragrances to beauty tools like hair straighteners, hair and makeup brushes, curlers, face sponges and bath accessories. Nykaa has many premium brands in store like Maybelline, Lo’real, Lakme, Neutrogena, Vichy, Calvin Klein, Davidoff, Braun and lots more. 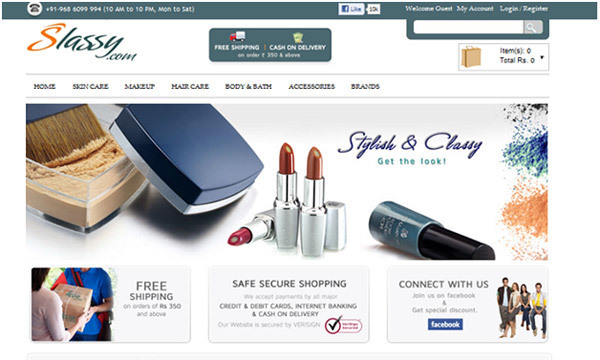 Slassy is an India-based fashion and beauty store available exclusively online. They bring premium branded products for both men ad women. By leveraging the reach of the internet, they aim to bring a unique perspective to shopping in India. They provide quality products and unmatched superior customer service. Stylish + classy—that’s what slassy.com aims at. Slassy.com is THE Indian online shopping site to go to, if you want to buy makeup and skin care products, beauty tools, jewelry, fragrances and styling tools. This best site to buy beauty products offers a wide range of products from brands like Aroma Magic, Bare Essentials, Bourjois, DNKY, Gucci, Himalaya Herbals and many more. 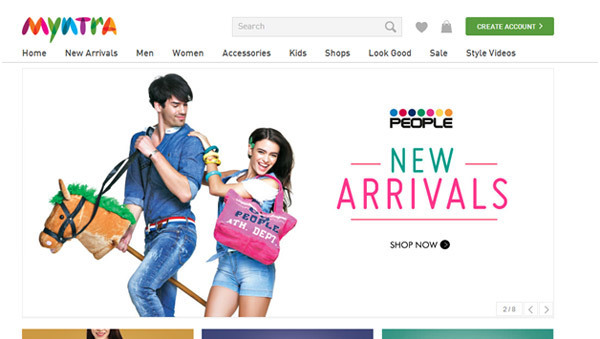 Myntra.com is a one stop shop for all your fashion and lifestyle needs. Being India’s largest e-commerce store for fashion and lifestyle products, Myntra.com aims to provide a hassle free and enjoyable shopping experience to shoppers across the country with the widest range of brands and products on its portal. The brand is making a conscious effort to bring the power of fashion to shoppers with an array of the latest and trendiest products available in the country. You can get makeup and skin care products along with accessories like traditional and funky jewelry, colorful and chic belts, shoes, scarves and perfumes. It also has a good collection of sunglasses. It has in store collection of brands like Puma, Levis, Dressberry, Ray Ban, Lee Cooper and many more. 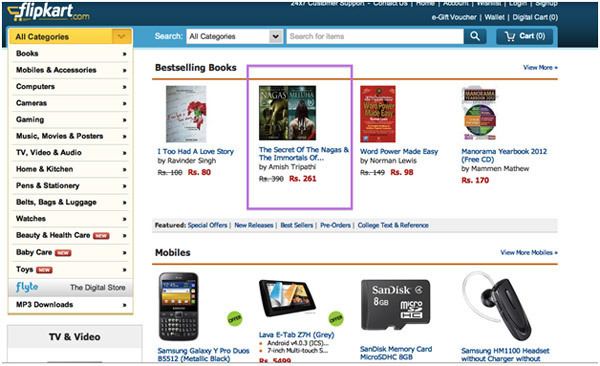 Flipkart went live in 2007 with the objective of making books easily available to anyone who had internet access. Today, they offer services and products across various categories including movies, music, games, mobiles, cameras, computers, healthcare and personal products, home appliances and electronics, stationery, perfumes, toys, apparels, shoes – and still counting! Flipkart is one of the oldest and most reliable websites in India. It has an online women store where you can shop according to the look you want—you can shop for casual, trendy or special dresses and accessories matching your need. You can also shop for cosmetics, bags, shoes, watches, perfumes and sunglasses to complete your look. It features brands like Casio, Fossils, Lakme, L’oreal, Colorbar, Elizabeth, Burberry and Philips. Do you shop online? 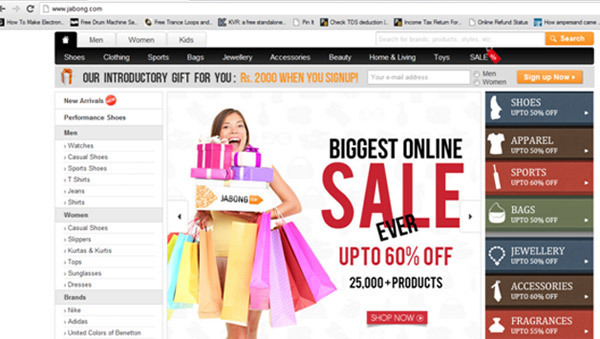 Which is your favorite online shopping site? What’s so special about that website? Do share with us in the comments section below! A Makeup Paradise - Just A Click Away!